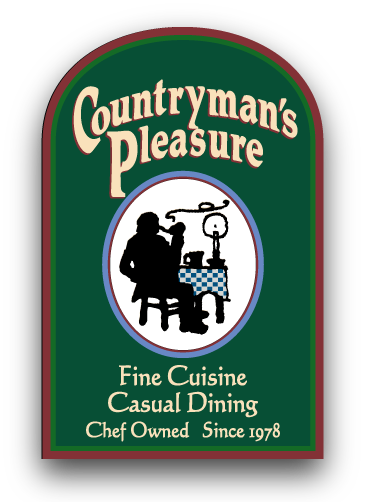 With an authentic, Old-World ambience, Countryman’s Pleasure has been attracting foodies from all over since before they were called foodies. Now under new ownership, our charming country farmhouse dining rooms have been refreshed while maintaining the cozy, fine dining experience. Former chef-owner, Hans Entinger, a culinary graduate of Simon Knoll School in Munich, worked with our new chef to ensure that your favorite Bavarian dishes remain authentic and phenomenal. 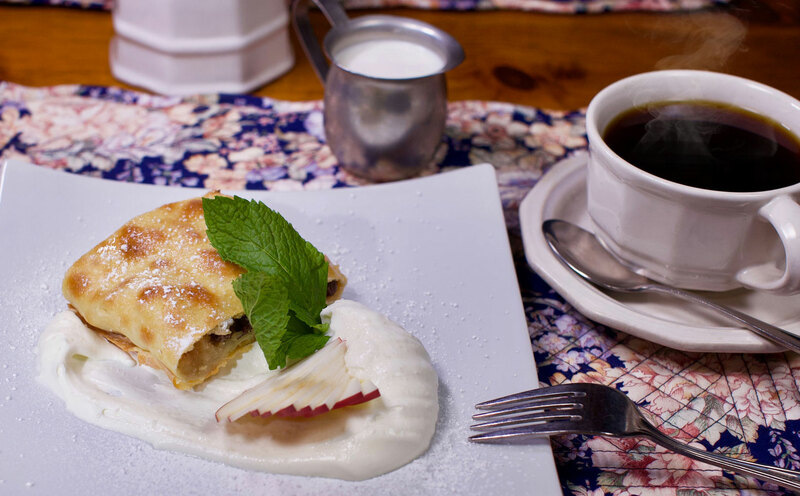 Our menu also includes fresh ideas for lighter Continental dishes to compliment the traditional Austrian and German selections, and a separate offering of snacks and small plates for comfortable, casual dining in our Tavern. We continue the tradition of exceptional European cuisine with a menu that features locally-sourced Beef Tenderloin Sauerbraten, Pan Roasted Duck Breast, and Chicken Cordon Bleu, as well as uniquely inspired chef specials. So, if you live near or far, and want to share an evening of great food and drink – escape to Countryman’s Pleasure in Rutland…it’s always a pleasure. ASK ABOUT OUR WEDNESDAY 3-COURSE, PRIX FIXE CHEF’S MENU – $30 PER PERSON. THURSDAY NIGHT IS LOCAL’S NIGHT WITH 15% DISCOUNT FOR VERMONT RESIDENTS. All Vermonters will get 15% off meals on Thursdays, with proof of local residence. Bring your friends! Every Friday night enjoy a burger and one of our three Ayinger German pints for just $15! a Cordon Bleu chicken burger with local ground chicken, lomo (cured pork loin), Spring Brook Farms tarentaise, and a mustard aioli! 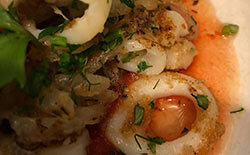 Every Saturday night we have a special appetizer and entree. And with the purchase of any bottle of wine, enjoy a complimentary cheese board. If you come in to celebrate your birthday, your dinner is on the house!